The title of the book is naturally taken from the Pesach Seder’s scenario of the four sons of the Jewish people and their attitudes towards Pesach particularly and the Jewish people generally. It is a polemic against Jewish self-hatred and Jewish Israel bashing from the self-appointed Leftist self-righteous denizens of academia and the media world. It is a powerful book and Mamet takes no prisoners. David Mamet is a Pulitzer Prize winning Broadway playwright as well as a well-established Hollywood movie script writer. 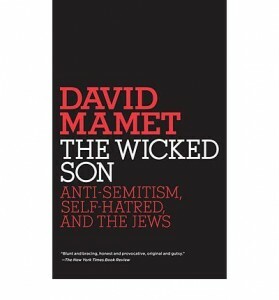 His book, “The Wicked Son – Anti-Semitism, Self-Hatred and the Jews,” is a polemic against Jewish self-hatred. It is a powerful book and Mamet takes no prisoners. But Mamet writes for the committed Jew and for the millions of Jews who like to be Jewish but just don’t know how to go about it. The remedy that he himself espouses is ritual observance and thus belonging to a large and ancient people who have an unbroken chain of tradition and historic achievements. No people can satisfactorily survive without a ritual and sense of belonging. Mamet is a Reform Jew but he is a Reform Jew who takes Jewish beliefs and ritual seriously and studiously. In this he represents a slowly growing trend within the Reform movement of Jews who want and demand more tradition and ritual and less liberal social agendas and guitar playing services in their temples. Mamet compares the alienated Jew trying to come back to his soul and roots to the challenges of a good actor performing on stage: Say the lines exactly as they are written. Try observing religious rites and allow them to lead you back to the theme of the play. Go to the synagogue and search there for a haven of belonging, learning and mutual support. Jewish self-haters are not restricted to the Diaspora. The avant-garde in Israel despises religious Jewry for its crime of somehow not disappearing and for the temerity to be not just hanging on here in Israel but actually visibly expanding and growing. 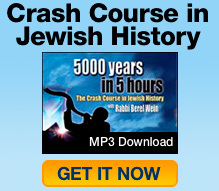 It blames Jews, Judaism and Israel for all of the faults and ills of the world. It sympathizes with our enemies, being blindly unaware that they too, as Jews, are in the crosshairs of those who would wish to destroy us. Mamet has said all that is necessary to be said. The rest is to go and study and practice.